Give the gift that continues to thrive long after the delivery date! The presence of emerald-green houseplants creates a soothing, peaceful atmosphere and adds an attractive touch of color as well. 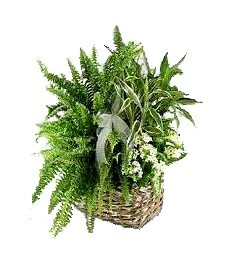 Order a beautiful basket arrangement today!